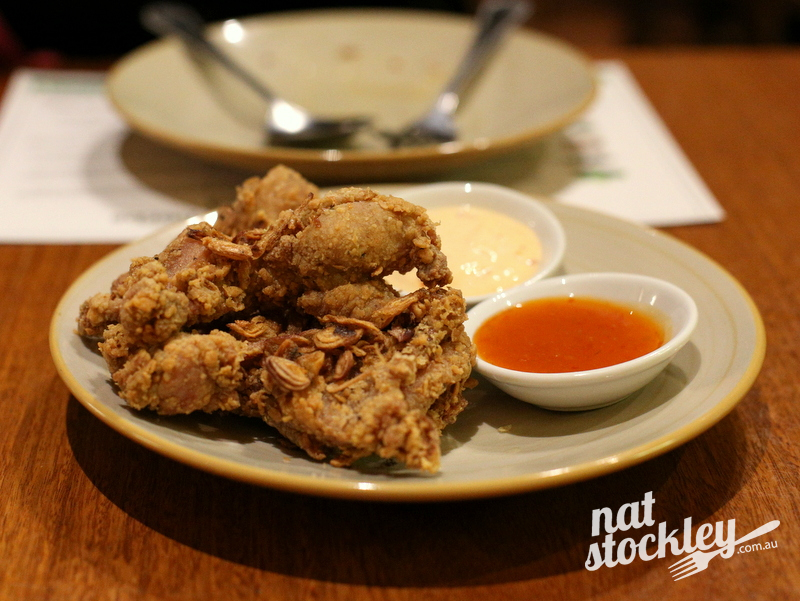 Yuu Yen can be found merely metres from Glenhuntly train station, having taken over the lease on the premises that previously played home to Thai restaurant Vanilla Omelette. 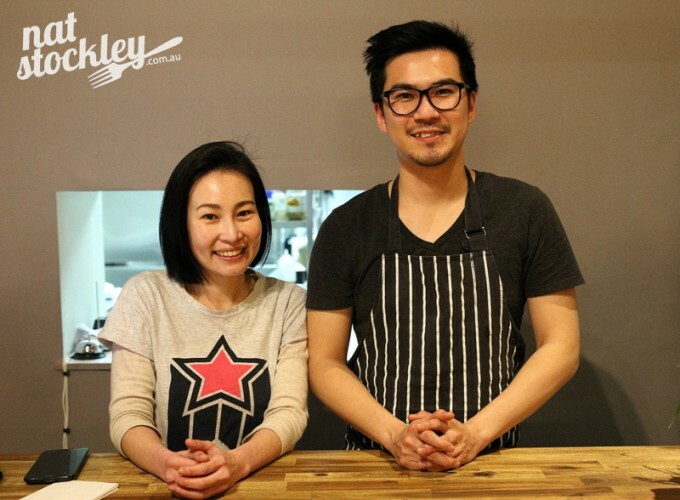 Chef and owner Kawee started as a dishwasher at Cookie some years ago and gradually worked his way through the kitchen. He’s since held different roles in the kitchens at Cookie, Colonel Tans and Boney which all belong to the group owned by Camillo Ippoliti and led by chef Karen Batson. Kawee’s wife & business partner Nadia also comes from a hospitality background having previously worked front of house and barista roles at Armadale café Coin Laundry, Café La Via in Malvern and Ripponlea’s Follow the Leader. The dining area at Yuu Yen is fairly compact with seating for just over twenty people. 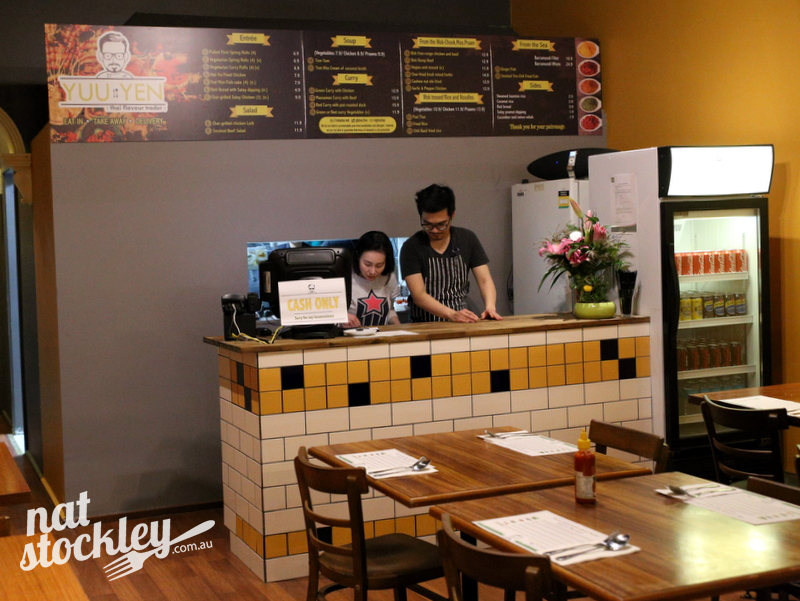 Take away and home delivery is significant part of the business, hence the placement of the large overhead menu board above the front counter. At first glance, the menu appears not dissimilar to your typical local Thai eatery with mostly fried entrees, standard soups, salads, curries and wok fried dishes all listed. Delve a little deeper and it’s evident that they’ve streamlined the menu quite considerably. 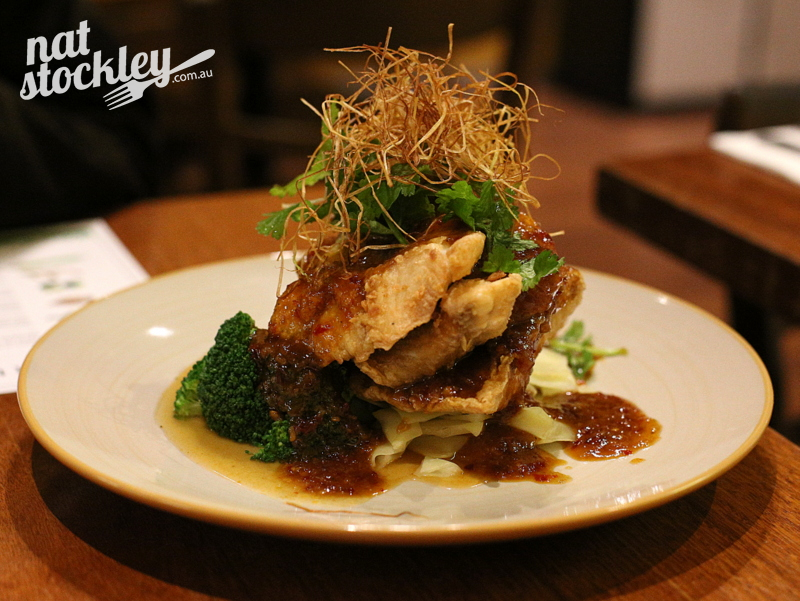 Rather than offer every protein teamed with red, green or yellow curries, there’s a single green curry available that’s comes with chicken. 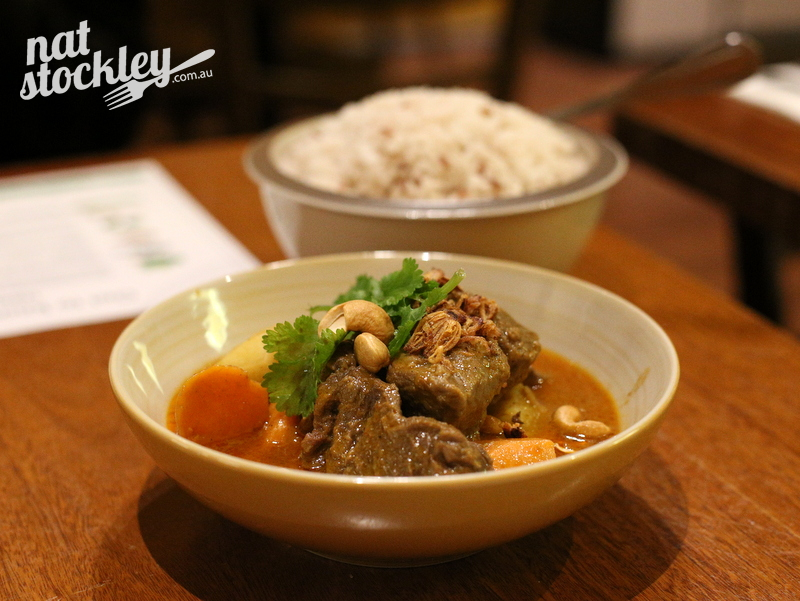 Similarly, there’s only one massaman curry which features slow cooked braised beef and a sole red curry that showcases roast duck. 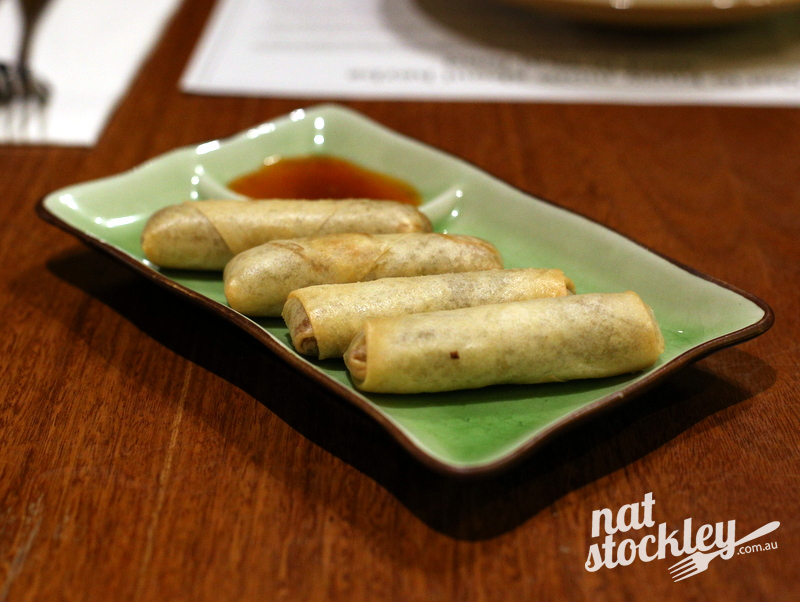 The complimentary vegetarian spring rolls (opening promotional offer) are perfectly fine; however it’s the pulled pork spring rolls stuffed with 12 hour slow cooked five spice pork shoulder that I’ll be ordering again when I return. 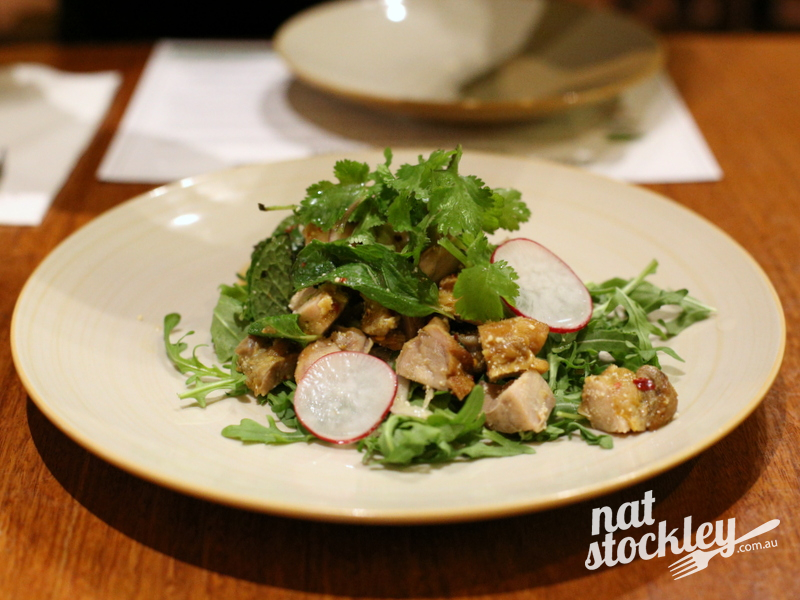 Larb gai is a traditional Thai chicken salad normally relying on chicken mince. The version at Yuu Yen substitutes the chicken mince with diced char grilled chicken and despite my apprehension, it’s a clear winner. Talking with Kawee & Nadia after our meal, I discover that they are actually making all their own curry pastes in-house which is fairly uncommon and to be applauded. As I work through a few dishes off the menu, there are subtle things I notice which make Yuu Yen a little different from the conventional local Thai restaurants I routinely try out. It may not be anything revolutionary, but it’s enough to spark my interest and have me wanting to return for more.